Do you dread dental appointments? If so, you are not alone. It is not uncommon for people to avoid visiting the dentist because of fear or anxiety which is often caused by a fear of needles. Local anesthesia which numbs the jaw is crucial for having a comfortable procedure, but it has traditionally been administered with a needle -- which makes it a no-go for many people. But there is great news: Calaject offers a better, more comfortable alternative than a traditional needle. Keep reading to learn how we use this technology to keep our patients relaxed and at ease. Comfortable dentistry is possible! When dental fear or anxiety gets in the way of routine dental care, it’s a problem. Fortunately, Calaject makes pain-free injections possible for a better overall experience at the dentist. It works by controlling the flow rate -- which helps to ensure that the anesthesia is delivered smoothly. It is a small, hand-held tool that has a light pen grip which makes it easy for your dentist to hold perfectly still. Made in the USA since 1975, Calaject keeps you perfectly comfortable so you can sit back and relax through any necessary procedure. Can I Undergo a Procedure with Calaject? Just about anybody who needs to have local anesthesia administered can benefit from Calaject pain-free injections. 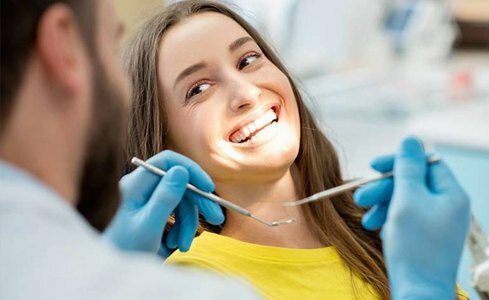 You may need or prefer to have your jaw numbed before a filling, extraction, dental crown, root canal, or any other restorative or general dentistry procedure. While it can make going to the dentist easier for everyone, this technology is especially helpful for patients who struggle with dental fear or anxiety. Talk to us about having Calaject before your next appointment. You deserve to visit a dentist who cares about your comfort -- so it makes sense to choose someone who offers Calaject! If you are interested in having the option of pain-free injections, we invite you to contact us to schedule an appointment for more comfortable dentistry today.